Hello, how are you all doing on this sunny sunday morning? I hope you are all okay and in the mood for a bit more of my scribbling? To be honest, he was not as confident as he tried to act. Casey could read Zeke's mind all too well. He rebelled against every sort of authority and taking orders from Casey was an absolutely no-go for him. But they would have to find a way to work together. The doc and Letty had a difficult surgery ahead of them, they needed to keep a level head for that. „Fine,“ he finally said and tried to ignore Zeke's moody face. Stupid, so stupid! He knew it when he noticed Zeke's incredulous eyes. „If I wanna see animals behind bars,“ he growled. „I will go and visit a zoo! Casey blinked. Once in my life I tried to do the right thing, he could hear him saying once again. He wondered what had happened but he knew better than to ask. Zeke wouldn't share his secrets with him. They had nothing in common, nothing! He had just made it quite clear. Casey sighed inwardly. This was going to be a great afternoon. He almost wished to be at the Mall together with his mom. The madness there would be so much more fun than to deal with a moody Zeke Tyler. But he couldn't spend the whole time pondering about him, work needed to be done. The animals were waiting for their feed and the cages needed to be cleaned. Finally he made decision. No broom, no shovel for Zeke like Letty had suggested, at least not today. It made no sense to make him even more angry. To his relief Zeke relaxed a bit. He grabbed for his pack of cigarettes before Casey could protest. Slowly Zeke reached into his pocket and got out a lighter to lit up the cigarette. He inhaled deeply and blew the smoke right into Casey's face. "I don't care much about rules," he said and grinned. Suddenly Casey felt anger rising up. Why did he always act like that? The doc had offered him a chance and all he could do was talking mean about him. About Letty and the shelter. What did he actually know about them and their work? They were fighting for every injured animal. Were willing to give all when it comes to save an abused dog or cat. All the hours, days and nights they spend with their freshly operated forsterlings. And how hard it was to realize that it was impossible to save all of them. They were wonderful people, not as stupid and selfish as Zeke was. And he had no right to talk about them like he did. For a moment Zeke stared dumbfounded but when he finally moved it happened so quickly that Casey had no chance to react. The grip didn't hurt much, he was used worse, nevertheless he felt uncomfortable while Zeke pressed him against the wall. “No,” Zeke said, emphasizing every single word. Casey struggled against Zeke's hands in the hopeless try to escape. Finally Casey was successful and jerked himself free. He turned round and stormed away, not caring about what Zeke was doing. Zeke enjoyed his cigarette while thinking. Only a few steps, the GTO was within reach, he just needed to get in and step on the gas. No one would stop him. And even if this meant to end in juvi … how bad could it be? A week, or two, not more, for what he has done. He knew the Judge, he was strong but fair and this was rather meant as a last warning, to show him where his life could go to if he was not willing to change it. Zeke stubbed out his cigarette. Casey was gone in the direction of the cages. Slowly he followed him and looked around. Probably he could do some of the needed repairs and paintings during the next weeks, he didn't need to bother with the animals and their stinky kennels. Though he had to admit, this had turned out to be just a stupid prejudice. The buildings might be old but everything was clean; no excrements and other dirt on the ways. All the outdoor cages were big enough to give the animals some place to play and relax, with a small hut to protect them against too much sun and rain, there was grass and sand and trees. Everything to make the inhabitants feel as good as it was possible in a shelter. Zeke had almost left the kennels behind when he noticed the dog in the last one. He was alone in his cage which was unsual enough. Almost hidden behind the hut was he crouching on the ground and stared at Zeke distrustful with great, dark eyes. When he got nearer the dog started growling, barely to hear but it was obviously a warning to stay away. Zeke stopped and frowned. This dog was not like the other animals he had seen around. All of them looked cared for and well fed. There had been some injuries, yes, a bandaged leg or the dog with the large band aid over the belly, one cat had lost its tail and another dog had a shaven head. But this one? But before he could step closer, Casey's voice stopped him, quietly but sharp. He grabbed Zeke's arm and pulled him away from the cage. Zeke thought about the animals he had met. The cats who had huddled against the fence, mewing loudly, just to get a few strokes from him. The dog who did sit up and beg and finally had almost performed a dance. No, they hadn't been afraid of him. Beside of … Zeke looked back at the small cage behind them. Now, with a bit more distance between them, the dog seemed to calm down a bit, but he still didn't move. He was in such a poor state, with his dull coat and so skinny that you could see every single of his rips. Suddenly Zeke started to feel anger rising up. “What's wrong with the doc, huh,” he spit. For a moment Casey looked as if he wanted to protest but then he slowly shook his head. “It's not useless,” he said softly. He liked the sound of the name, a russian one. It reminded him of his childhood, his grandma, she was born in Russia. The nursery rhymes she had sung to him. Of course he hadn't been able to understand the words, but he could still remember her dark, smoky voice. Could feel her strong arms when she hold him. She had always been able to calm him down. Zeke was torn out of his thoughts by Casey's voice. For a second, or two, Casey eyed him thoughtful. “I hate to think about what horrible experience has made her like that,” he finally answered with a shaking voice. “The doc says someone probably tried to beat her to death. “If I could get hold of these bastards I would let them feel the same what they did to her,” he snarled. 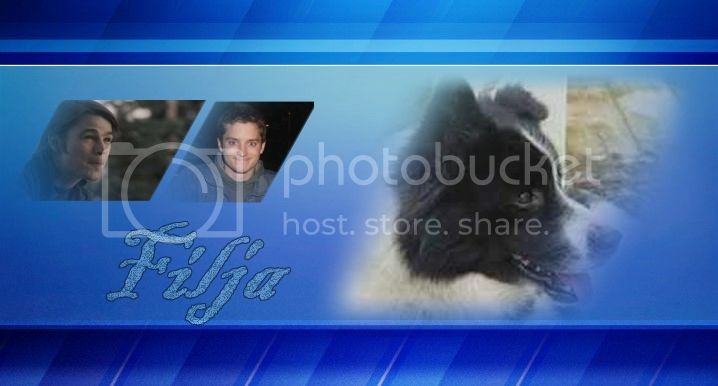 Oh, poor Filja! I'm looking forward to seeing what happens between her and Zeke. Bad boy, yes, but we love him this way, don't we? Oh no, Casey is not a whimp and it's time for Zeke to realize this. Maybe the Shelter will be good for him to find out what he really wants. Zeke's emotions are all over the place, snarling at Casey, yet intrigued by him. Thinking about running off but finding he's really concerned about Filja. But he's showing his true colors which is a good thing. Zeke is Zeke, always on distance and whenever someone gets closer to him he tries to push him away. But maybe working at the Shelter can help him to find out a better way of living.